Be prepared to get lost on a fantastic adventure. Inside our 7-acre Giant Maize Quest® Corn Maze, you will find twisting pathways, questions and answers, and picture rubbings. It's a maze, it's a game, it's educational, and it's FUN! 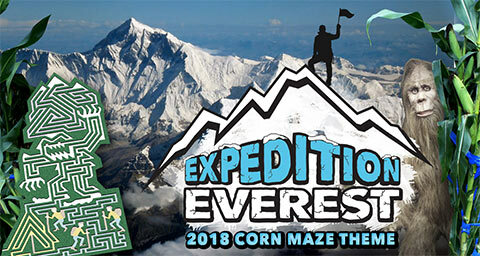 Every year features a new corn maze theme. This year's theme is "Expedition Everest!" Join us on an adventure as we explore the highest place on Earth: Mount Everest. If the weather doesn't get you, maybe the legendary Yeti will! As you navigate the maze, learn about the conditions and inhabitants of this incredible wonder located in the Himalayas of south-central Asia. 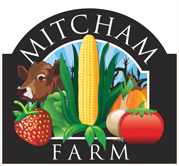 Enjoy our smaller Mini Corn Maze, hidden within the Giant Corn Maze. Follow Spookley's Story Book Trail to learn Spookley's story as you explore the maze. 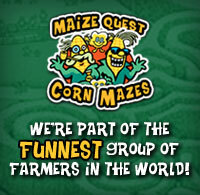 This maze is great for younger explorers not quite ready for the Giant Corn Maze. Older participants can experience both mazes! 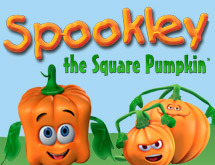 Spookley was first introduced to millions of children in the book The Legend of Spookley the Square Pumpkin, in which he is shunned by all of the round pumpkins until a mighty storm threatens to destroy the entire pumpkin patch and only Spookley, with his unique shape, can save the day. The story of Spookley touches the heart and mind with a message of tolerance and acceptance. Be sure to visit us at night for Flashlight Nights - a totally unique experience in the maze on Friday and Saturday nights! 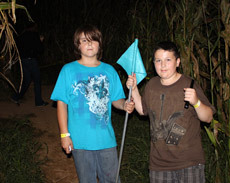 Come try our maze in the dark for a different twist - but be sure to bring a flashlight in case you "get lost"! 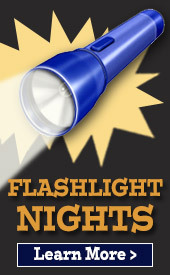 Flashlights are also available for purchase.